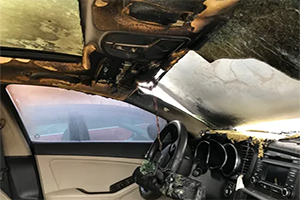 On April 1, 2019, NHTSA granted our petition—based on the more than 300 consumer complaints of Kia and Hyundai vehicles bursting into flames—that called for an investigation into the non-collision fires and the hundreds of additional complaints of melted wires in the engine bay, smoke, and burning odors emanating from these vehicles. The Center has also called for a full recall of all 2011-2014 Kia Optima, Kia Sorento, Kia Soul, Hyundai Sonata, and Hyundai Santa Fe, and all 2010-2015 Kia Souls (a total of almost 3 million vehicles) and petitioned NHTSA to open an investigation into the issue. Federal investigation opened into Hyundai, Kia fires. The Indy Channel. April 5, 2019. U.S. to probe thousands of fires connected to Hyundai, Kia vehicles. Reuters. April 1, 2019. Fire engulfs Michigan man’s Kia; he’s not the only one. Detroit Free Press. March 11, 2019. 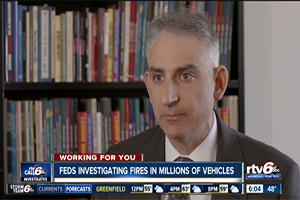 It is long past time for the full power of the federal government to be brought to bear to answer why so many thousands of Kia and Hyundai vehicles have been involved in non-crash fires. While it may be six months post-due, we are gratified to see NHTSA’s Office of Defect Investigations open formal investigations based on our petition. Read our latest press statement on NHTSA’s decision to grant our petition for a defect investigation. The Center for Auto Safety urges Congress to investigate why Kia and Hyundai have refused to fully address this dangerous defect and why the political leadership of the agency responsible for overseeing highway and traffic safety has allowed such continued malfeasance. Read our press statement on our petition for a defect investigation. For the reasons discussed above, the Center urges NHTSA to grant this Petition for a Defect Investigation into 2011-14 Kia Optima and Sorento, and Hyundai Sonata and Santa Fe vehicles. Read our petition for a defect investigation. Mother demands answers after Hyundai SUV bursts into flames, nearly burns down her Lakeland home. ABC Action News. April 10, 2019. Family escapes when Kia suddenly stalls, erupts in fire on 110 Freeway in LA. The Orange County Register. April 2, 2019. Safety agency opens probes into Hyundai and Kia fires. The Detroit News. April 1, 2019. US safety agency opens probes into Hyundai and Kia fires. The Hill. April 1, 2019. Feds to probe fires connected to Hyundai, Kia after petition from safety group. M Live. April 1, 2019. Complaints About Hyundais and Kias Catching Fire Prompt U.S. Probe. Bloomberg. April 1, 2019. Federal Auto Regulator To Investigate Hyundai, Kia Vehicle Fires. NPR. April 1, 2019. U.S. safety agency to probe thousands of Hyundai and Kia fires. CBS News. April 1, 2019. Study: Certain Kia and Hyundai engines more likely to catch fire. ABC Action News. March 25, 2019. Should more Kia vehicles be recalled for fire risk? The Indy Channel. March 16, 2019. Drivers say automakers are putting lives at risk by not recalling engines known to fail or catch fire. CBC. March 6, 2019. Hyundai and Kia recall 500,000 cars that could randomly catch fire. Consumer Affairs. March 4, 2019. Another half-million Kia, Hyundai vehicles recalled. WESH 2. February 28, 2019. Hyundai, Kia recall more than 500K vehicles as fire risk spreads. ABC Action News. February 28, 2019. Sudden fires in Kias, Hyundais require congressional intervention, consumer group says. Orange County Register. February 28, 2019. Hyundai, Kia issue recalls after engine fires; watchdog group says more recalls needed. The Denver Channel. February 28, 2019. Hyundai, Kia recall over 500K vehicles as fire risk spreads. Associated Press. February 28, 2019. Center for Auto Safety demands congressional investigation into car fires. The Denver Channel. February 27, 2019. Whistleblower says Kia is downplaying risk that its cars can randomly catch fire. Consumer Affairs. January 25, 2019. Auto safety group not pleased with Kia, Hyundai’s recall of 168K vehicles. M Live. January 24, 2019. Insurance Companies Warn Of Hyundai And Kia Fires. Car Buzz. January 24, 2019. 5 Hyundai, Kia models have high fire insurance claim rates. Associated Press. January 22, 2019. Kia, Hyundai to recall vehicles to fix problem that can cause fires. WESH 2. January 17, 2019. Hyundai, Kia Recall Sedans, SUVs for Fire Risk. Consumer Reports. January 16, 2019. Kia, Hyundai announce recall on more than 100,000 vehicles following ABC Action News investigation. ABC Action News. January 15, 2019. Questions after fires in Kia & Hyundai vehicles: Sorentos, Optimas, Santa Fes and Sonatas. ABC Denver. November 15, 2018. New info uncovered as Kia, Hyundai CEOs refuse to testify before Senate committee. WESH 2. November 14, 2018. CEOs of Hyundai, Kia Decide Not to Attend Hearing on Burning Cars. NBC Dallas-Fort Worth. November 14, 2018. Car engines going up in flames across the country. NBC Milwaukee. November 13, 2018. KIA, Hyundai CEOs refuse to attend Senate hearing to explain cause of car fires. ABC Action News. November 8, 2018. Combustible Kias? Owners report vehicles going up in flames. Click Orlando. November 1, 2018. No recall issued after hundreds of Kia and Hyundai vehicles catch fire. News 4 San Antonio. October 26, 2018. Action 9: Some claim Hyundais and Kias catch fire without being in crash. WSOC-TV. October 25, 2018. Councilman’s car catches fire while driving. News Channel 5. October 25, 2018. For Hyundai and Kia, risk goes beyond fire. Automotive News. October 20, 2018. US Senate committee invites Hyundai, Kia to talk about engine fire reports. CNET. October 18, 2018. Senate panel wants Hyundai, Kia to testify on engine fire reports. Automotive News. October 17, 2018. Kia, Hyundai automakers to testify before Congress on car fires after I-Team investigation. ABC Action News. October 17, 2018. Hyundai, Kia CEOs asked to appear before Congress regarding vehicle fires. MLive.com. October 17, 2018. Safety group ‘demands’ Kia, Hyundai recall 2.9M cars due to spike in fire reports. MLive.com. October 15, 2018. Car safety group says 3 million Kia and Hyundai cars need to be replaced. WSBTV-2. October 15, 2018. Safety group wants Hyundai and Kia to recall 2.9M vehicles. ABC 13 – Houston. October 14, 2018. Auto safety group calls for recall of 2.9M Hyundai, Kia vehicles. United Press International. October 14, 2018. Auto Safety Group Demands Mass Kia And Hyundai Recall Over Vehicle Fires. Fortune. October 14, 2018. 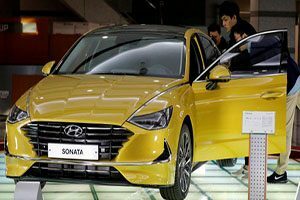 Car fire concerns for Hyundai and Kia vehicles. CTV News Toronto. October 13, 2018. Risk of fire? Recall demanded of nearly 3 million vehicles. Good Morning America. October 13, 2018. Safety group wants Hyundai and Kia to recall 2.9M vehicles. The Washington Post. October 12, 2018. Hyundai and Kia fires: Safety group wants 2.9M vehicles recalled amid complaints they can ignite. ABC 7 – Los Angeles. October 12, 2018. Hyundai, Kia Called On to Recall 3 Million Cars After Rampant Reports of Random Fires. Jalopnik. October 12, 2018. Sudden Fires: Center seeks recall of 2.9 million Kia, Hyundai vehicles. The Atlanta Journal-Constitution. October 12, 2018. Auto safety group pushes Hyundai, Kia for massive recall of 2.9 million vehicles. Dallas News. Obctober 12, 2018. Couple’s Hyundai Catches Fire on Maryland Road Amid Call for Investigation Into SUVs. NBC Washington. October 5, 2018. Mother watches son burn to death in Kia fire, calls for answers from car maker. ABC Action News. September 25, 2018. Man Says His Hyundai Caught Fire With Daughters Inside. NBC 5 – Dallas/Fort Worth. September 12, 2018. Growing concern over fire risk involving Kia vehicles. NBC News. July 15, 2018. NHTSA: More than 400 Kia, Hyundai vehicle fires. WESH 2. July 11, 2018. Number of Kia fires labeled as alarming by auto safety watch dog. ABC Tampa Bay. June 11, 2018. Some Hyundia, Kia vehicles should be probed for non-crash fires, safety advocate says. Automotive News. June 5, 2018. Woman escapes from Kia SUV engulfed in flames. NBC Nightly News. May 29, 2018. Another Tampa Bay driver reports their KIA went up in flames while parked. ABC Action News. April 25, 2018.